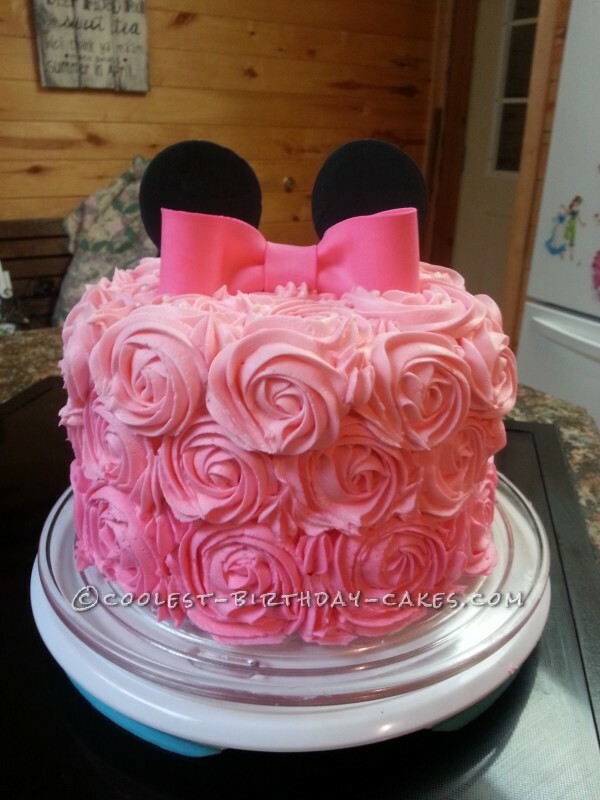 This cake pales in sweetness compared to the person I made it for. An acquaintance turned friend due to an amazing heart, kindness and understanding. 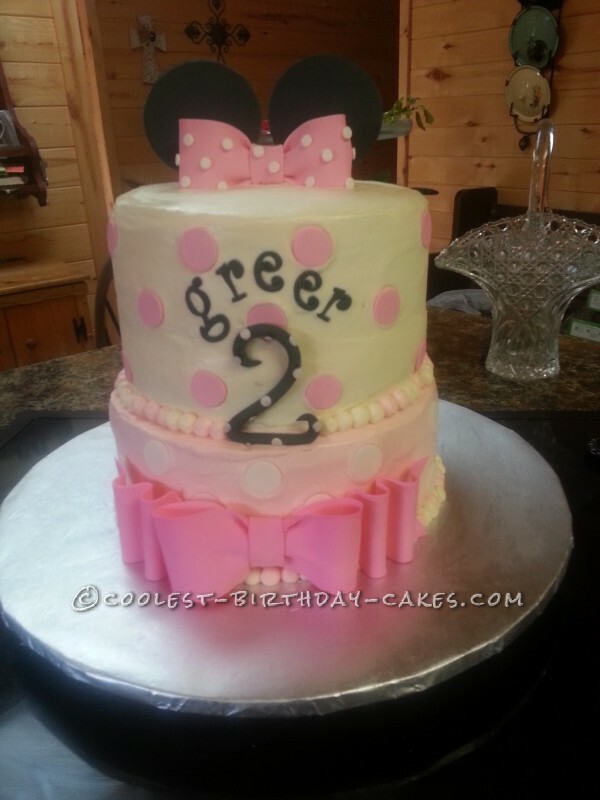 Asked to do a cake for her precious little girl who was turning 2, I was honored to oblige. G picked out a cake and with a few tweaks decided that this is what she wanted. I loved the way G’s mom “consulted” with her over every question I had…. They have such a sweet relationship…you can tell they are besties!! The cake was chocolate and smothered in rich buttercream frosting. She told me later she could have bathed in the icing….mmmm….not a bad idea!) The ears were cut from black tinted gum paste. The polka dots were cut from gum paste using a large icing tip and I made the bows from gum paste as well. I have started using gum paste as opposed to fondant on the pieces that need to keep their shape. Although the pieces are very hard, they hold up better in our humid weather. The tiny dots were cut with the tip of a large plastic straw and glued one by one onto the top bow with piping gel. The same method was used for the polka dots on the big number 2 which I made using my clay extruder. The big dots around the bottom of the top layer were made using my large piping tip and the ‘pointies’ carefully patted down with my finger that had been dipped in cornstarch so that they would look more like large beads. I cut the name from tap letter cutters and glued on with piping gel. When I saw pictures of the actual party, I was in awe at the setting and decorations. It was beautiful…mom had done a fabulous job….but then I expected no less from my amazing friend.